*The bed surface is made of foamed cushion and the adjustable back, making the wounded feel comfortable. 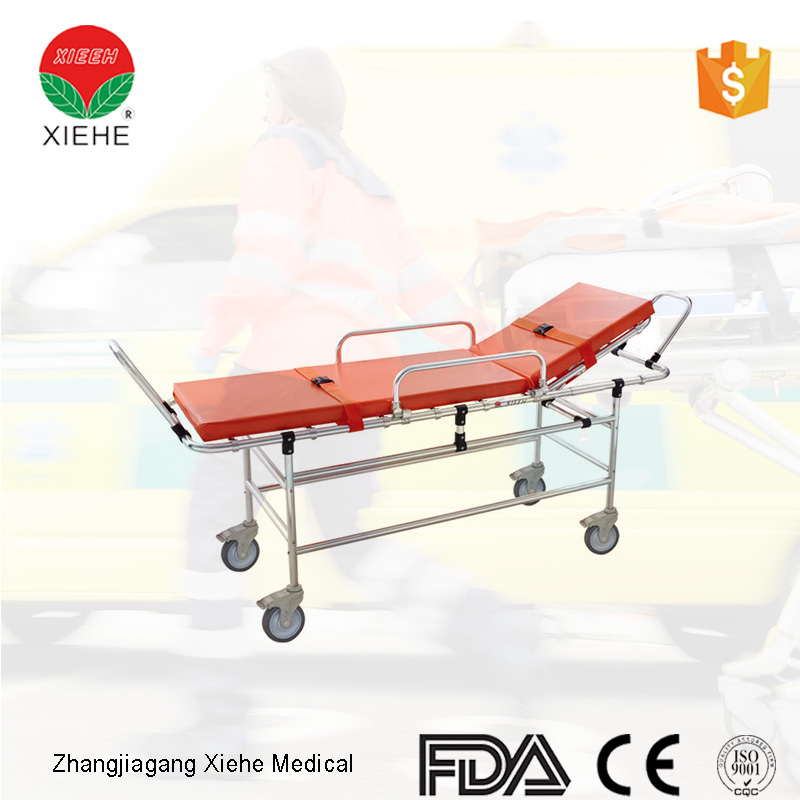 *This machine is very convenient; one person is enough to send the patient (with this stretcher) to the ambulance car. *The folding legs are controlled by the handles on both ends of the stretcher. trolly nonmagnetic.can be used in MRI.